We had another slightly more difficult letter again this month - and since we actively discouraged merely a cake with icing for 'i' I know that made it harder for some of you! So thanks to everyone who entered; read on to the end to find out who won the prize we had on offer this month, a selection of baking goodies from Dr. Oetker. 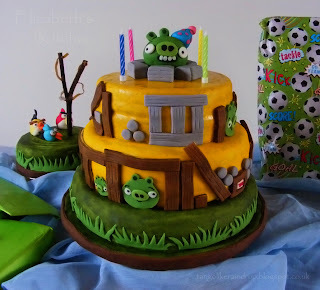 First up we have my own entry – something I’d previously made in a cake decorating class but not posted on my blog yet, so this seemed like a great opportunity! 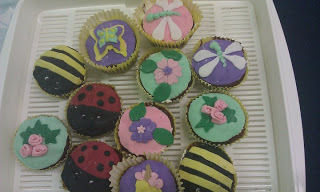 I made insect cupcakes – cakes decorated to look like ladybirds, bees and dragonflies. These would be fun to make for a spring or summer-themed party and they are also really easy to make so children could have a go. 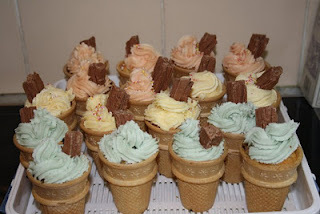 I also submitted an older entry I made last summer – ice cream conecupcakes. You need to buy the flat-bottomed rather than pointed ice cream cones, and you bake the cake mixture inside them. 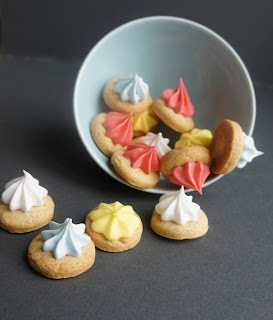 Finish them off with a swirl of buttercream and a Flake! We decided not to accept cakes that merely had some sort of icing on top as an entry for our ‘I’ challenge, but we did have to make an exception for this. Icing is practically the main ingredient in this cake and the fondant decoration is really the most prominent thing about this cake. I think it’s absolutely amazing! 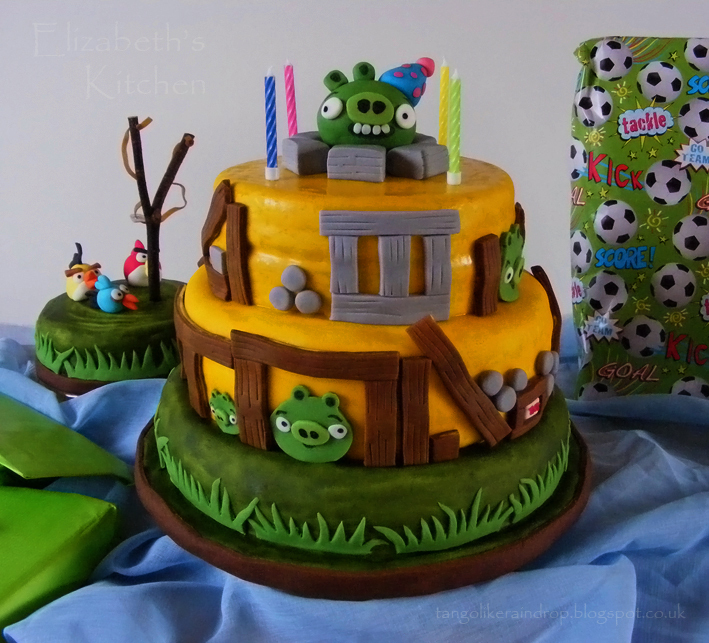 Here’s Elizabeth from Elizabeth’s Kitchen with her AngryBirds Birthday Cake. When I was a child I used to love iced gems – and I still eat them now – so I was pleased to see this entry from Olivia at Liv A Little Bakery. They look just like the real thing! Here’s my third and final entry this month- Idaho Potato Cake. 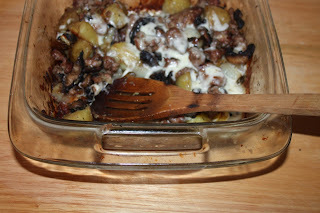 OK, so I didn’t make it with potatoes from Idaho, but I have been there, and this is the name of the recipe. You can’t taste the mashed potato in it, I promise! 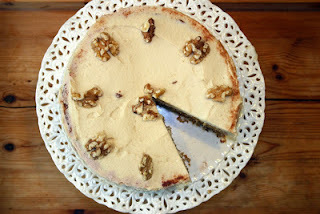 In the same geographical vein, Eira from Cookbooks Galore found this recipe for an Israeli Date and Pecan cake. She says it is a lovely nutty cake, not to sweet, and works well as a dessert with crème fraiche or ice cream. It looks tasty! Ros at the More Than Occasional Baker – my cohost for the Alphabakes challenge – made these cute ice cream cake pops. They would be great for a children’s party, and I love the mini doughnuts she made at the same time too. Suelle from Mainly Baking made this delicious Italian pine nut tart which has a layer of chocolate hazelnut spread inside. Suelle also suggests some alternative flavours and fillings which I think would work really well. 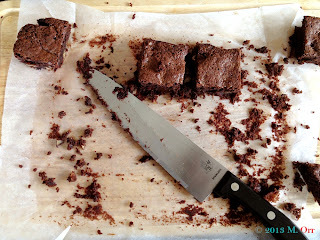 These Irish Cream Brownies from Susie at Fold in the Flour look very more-ish and would make a lovely dessert. I imagine they would also taste good made with the different types of Baileys you can get e.g. caramel and mint. Yum! Our first savoury recipe this month comes from Jean at Baking inFranglais, who treated us to this Italian sausage and bean stew. 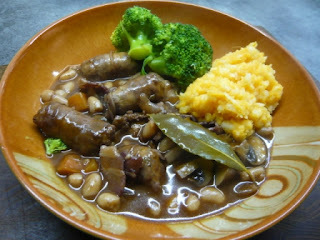 It’s hearty and filling and is the perfect mid-week meal when you’re cold and hungry. Jean also sent us an Italian bread pudding, which uses stale French bread and has a layer of apples. Definitely a good way to use up leftover bread! Jacqueline made this Irish log, which bears a striking similarity to a Swiss roll, but it has peppermint flavouring – and if you wanted to make this for St. Patrick’s Day, which fell in March (how’s that for good timing?) then you could even colour the cream filling and topping with green food colouring! This roasted Italian sausage with potatoes and mushrooms looks like a lovely winter warmer; Elizabeth from Law Student’s CookBook says it was easy to make and full of flavour. Claire from Under The Blue Gum Tree has introduced me to idli – South Indian steamed savoury cakes. She made these polenta idli using dariole moulds, and says that while they came out quite dense (I doubt that many people have idli pans lying around) they were beautifully spiced. If you remember the square blocks of ice cream that the ice cream van used to sell and place between two flat wafers, you’ll love these ice cream sandwiches from Fiona at Sweet Thing You Make MyHeart Sing. Here she sandwiched vanilla ice cream between peanut cookies – this definitely brightens up a cold wintery day with thoughts of summer! Choclette from Chocolate Log Blog came across a Delia Smith recipe for an Iced Honey and Spice cake; she adapted it to add cocoa and chilli and made it for a friend’s 60th birthday party. She also used some honey she was sent by the New Zealand Honey Co. and found this bake showcased its distinctive flavour. The timing of this entry from Jen at Blue Kitchen Bakes was perfect – she used a semicircle cake pan to make an igloo cake – it’s a coconut sponge covered in white sugar paste. I saw this entry while I was on holiday in Lapland actually staying in a glass igloo, I wonder if Jen is psychic?! Anyway this cake is really cute and would go down very well at a seasonal party. 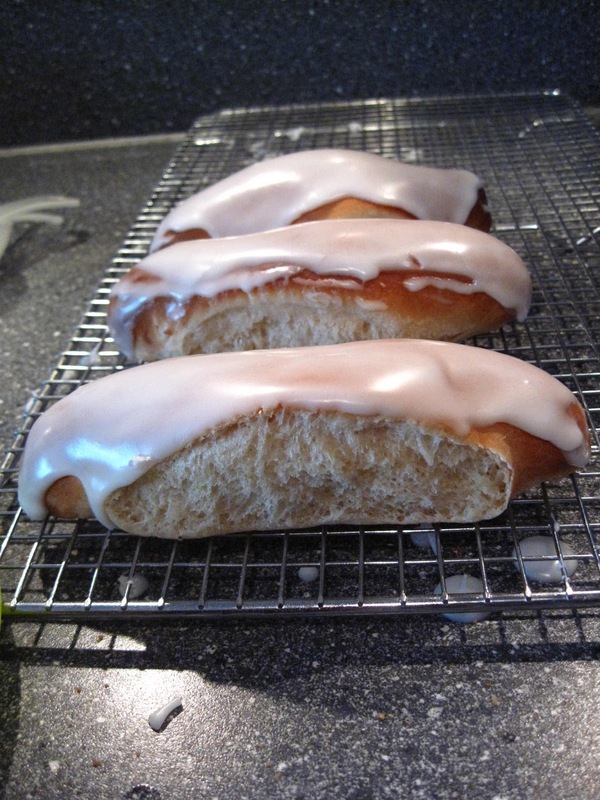 I was hoping the iced buns I loved as a child would make an appearance in this month’s Alphabakes and Dawn at WildAbout Baking does not disappoint. Dawn says she does not usually make bread so this was a little outside her comfort zone, but I’m glad she gave it a try as they turned out really well! Dawn sent in a second entry – instantespresso cupcakes. 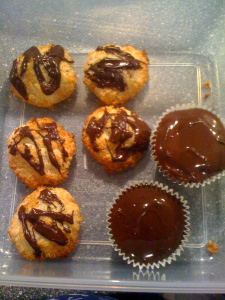 They are from a Nigella recipe and she also made some coconut macaroons, which you can see in the same blog post. Coffee was also the ingredient of choice for Dom from Belleau Kitchen, who made this Italian Blend Coffee and Walnut Cake. It’s from a Nigel Slater recipe; the cake batter itself contains walnuts and there are also walnuts on top to decorate the cake. Mel from Sharky Oven Gloves made Irish coffee and walnut brownies, in between writing a 40,000 word thesis. 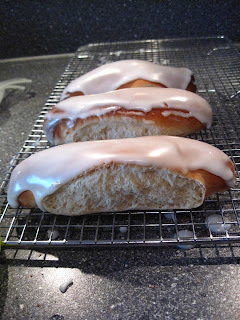 These look lovely and gooey and would be the perfect accompaniment to an Irish coffee. 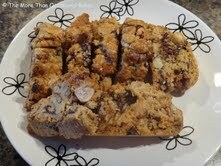 Finally More Than Occasional Baker Ros – and my co-host for this challenge- sent in these Italian mixed nut and chocolate chip biscotti. I think the grated lemon zest in the recipe would give it a lovely zing. Thanks everyone for your hard work and all your entries this month. So without further ado, the winner of this month’s prize, a selection of baking goodies from Dr. Oetker, is…..
Olivia, we will be in touch to send your prize. Thanks everyone for entering…. Especially for bearing with us while we have had a couple of particularly tricky letters in succession! You can find out which letter we are baking with in April on TheMore Than Occasional Baker on April 1st…. and you’ll be relieved to know the letter is a bit easier, so I look forward to seeing your entries! 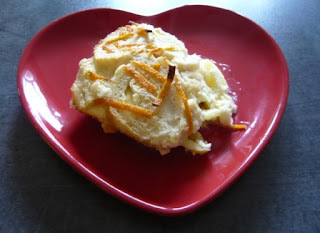 Yet again another lovely selection of recipes - I love these round-ups: so much inspiration! Thanks for another great round up!